Strategically positioned halfway between Bandar Seri Begawan and Kuala Belait, these well-equipped villas offer the convenience of easy travel to meet family and friends or your daily journey to work. 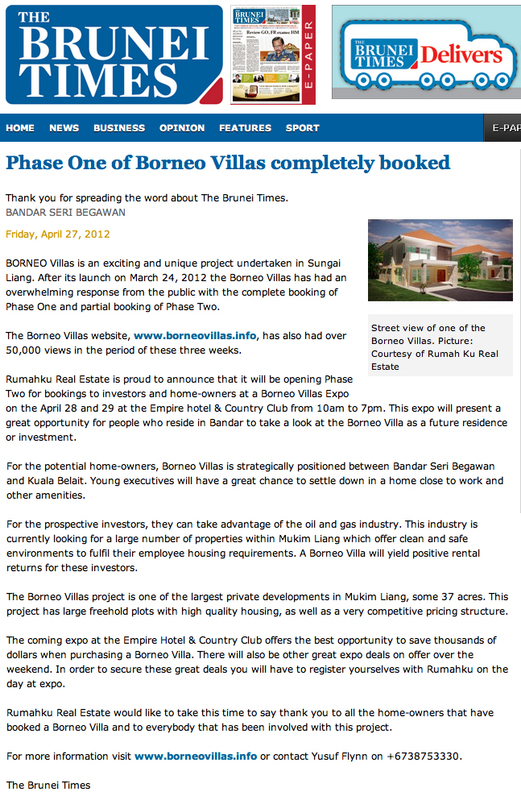 Borneo Villas is truly unique in many ways. With the beautiful coast line only a few minute’s drive away, you can relax after a hard day’s work with the refreshing ocean breeze or let your children explore the many wonders of the beach. 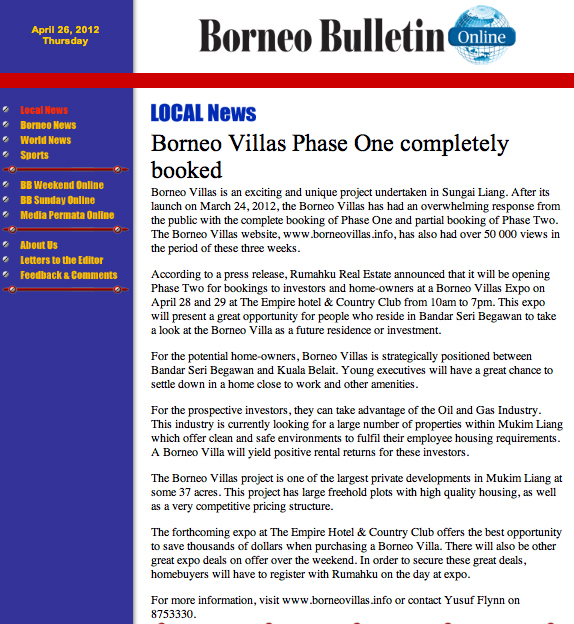 Borneo Villas brings you an affordable coastal lifestyle without the heavy price tag. 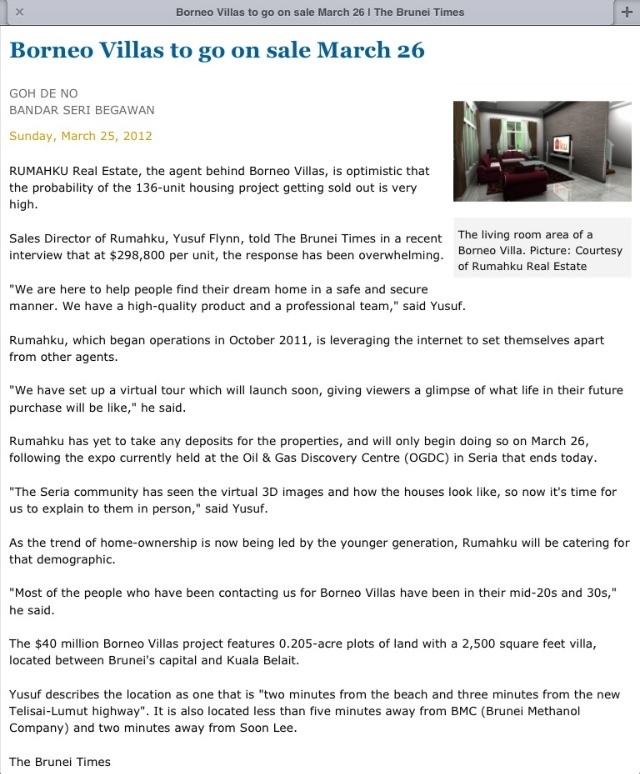 Borneo Villas has been designed with your family in mind. Each villa is built with quality materials on a considerable plot of land, each plot in perpetuity. 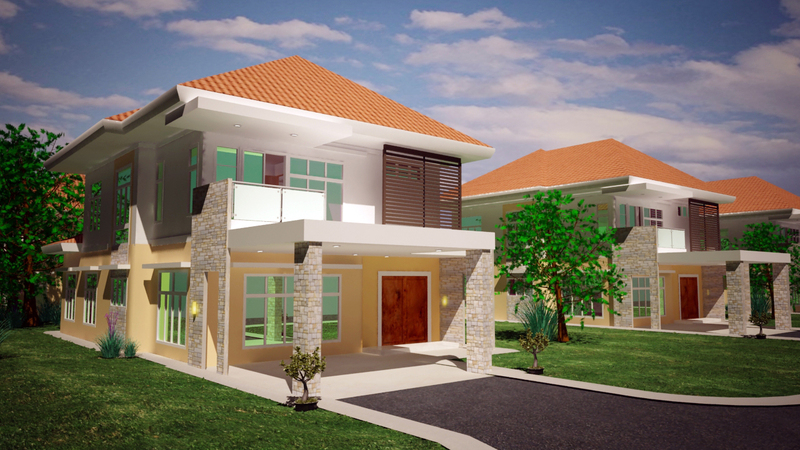 You will enjoy the warmth of your family from the large compound or the comfort of your balcony Whether you are a newly wed or you already have a family, the villa will play an essential part in creating memories for your family for years to come.